UCAM Universidad Católica San Antonio de Murcia was founded in 1996 and is a private university with a clear mission: to offer students the skills and knowledge to serve society, to contribute to the expansion of human knowledge throughout research as an integral part of the development of mankind, in addition to participating in the evangelical mission of the Catholic Church within the areas of culture and education. 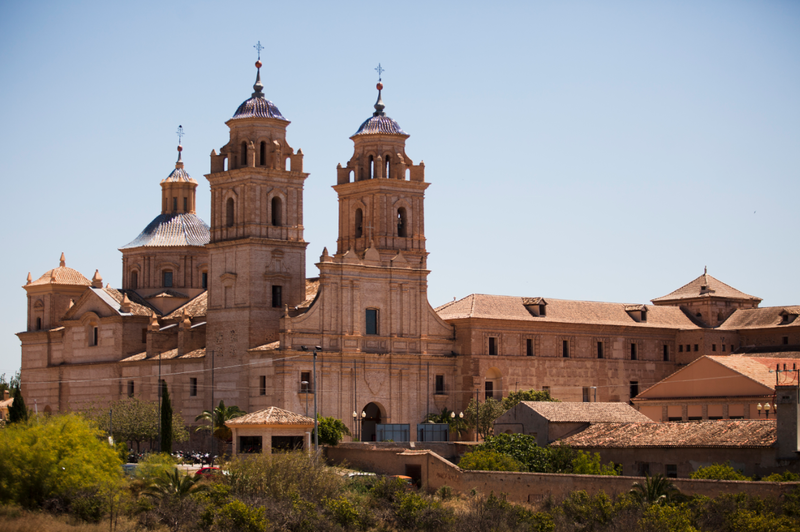 UCAM’s School of Languages offers multiple regular and intensive language courses throughout the summer period (July-September) and the academic year. Students have the chance to learn or develop their knowledge of one of the following exciting languages: English, Spanish, French, Portuguese, Chinese and German. As for our Spanish language classes, we are proud to offer a wide range of courses that target different student profiles (Interchange, Erasmus, pre-master, external or UCAM). There courses are available to anybody interested in learning a new language and their cultural context, if they are UCAM students or not. Nevertheless, interested parties must be 18 years or older. The main goal of UCAM’s School of Languages is to provide our students with the necessary contents to advance one stipulated lever per each course or year, depending on the amount of hours per course. Our courses are developed in a way that they facilitate learning and teaching activities according to the European Common Framework Criteria concerning languages (A1-A2-B1-B2-C1-C2). UCAM’s language courses are directed by certified teachers specialized in their respective mother tongue, including different activities which make learning both fun and interesting. The classes’ time schedules are different from course to course, depending on their duration and level. It is obligatory for students to attend at least 70% of their classes in order to be qualified for taking the final exam. When completing a course successfully, students will receive an official certificate. In order to enhance team work activieties and learning outcomes, all classes usually have a limited number of students (between 8 and 15). So do not hesitate: come and join us at UCAM’s School of Languages today! I came to Spain with a spanish level that was quite ok but, I didn't really dare to peak. I learned a lot from Marta (greatest spanish teacher ever) because she forced us the go beyond our shyness and to just try. Today I can proudly say that I do speak fluently. I recommend to all of you guys who want to improve your language skills to try the UCAM language courses! I personally, had a blast! Well, it's hard to resume in words how the Spanish course in UCAM helped my development in my engineering studies. When I arrived in Spain, in August, 2012, I had to use mymics to say, for example, that I needed to go to the bathroom. But when I've returned back in Brazil, I did mess with languages, saying Spanish in Portuguese place. I'd like to say "muchísimas gracias" for the UCAM language staff, especially to my teacher, Marta. I had an opportunity to study Spanish in the additional classes of UCAM created for the Erasmus students. I would honestly say that these were the best classes I had a chance to participate in. I was so glad with the easy-going atmosphere of the course, the programme that we had done and that let me improve my language skills a lot. Thanks a lot for Marta Cuartero Gomez for this amazing experience there! El curso general de español fue increíble! Los cursos que dan Marta son únicos, nos implica mucho preguntándonos lo que queremos hacer y ella se implica mucho también dándonos ejercicios suplementarios cuando lo queríamos. Podemos a la vez estudiar y reír con ella. ¡Me faltan mucho las clases con Marta! Wish I could come back ! The spanish classes I took where more than simply teaching us the language. Although, we learned the basic of spanish which was essential for living, we learned about the culture. Futhermore, Our teacher, Marta, was (still is, i am sure) a very passionate person and loved teaching us everything she knew. Even though Marta was our teacher, she was also our friend, always making sure we had fun while learning. I recommend this class to anyone who's looking for more than just learning the language. This was sure one of my highlights during my stay in Murcia. El curso muy ameno, he aprendido muchísimo y me han preparado muy bien para el DELE. The Spanish course at UCAM was a really useful experience. Our teacher was very kind, charismatic and friendly. She made very interesting the study of Spanish Grammar and I'm so happy to have participate in it. I had not only the possibility to know a lot of people from all over the world, but also increasing my Spanish level. In addition I improved my knowledge of Spanish culture. I will not forget this experience! With the courses proposed by UCAM's School of Languages I really improved my Spanish level. The teachers are well prepared and the classes are useful and well organized. What I liked most is that I not only learned Spanish, but also a lot of things about the culture of Murcia and Spain.